This is Fran Drescher’s story and it can happen to any of us. Fran Dresher was misdiagnosed & mistreated for a peri-menopausal condition she did not have. Her doctors told her she was experiencing symptoms because of a long list of reasons – she was too young, too thin, and another reason given was that she ate too much spinach! Fran was prescribed hormones to treat the symptoms, but her doctors made one fundamental error – they did not they did not order proper diagnostic tests. Fran says; at the time, I didn’t know to ask why or why not, because I was just happy to be told I was too young for any other condition! Eventually an endometrial biopsy confirmed Fran’s greatest fear; she had cancer. As directors of The Grace Gawler Institute for Integrated Cancer Solutions, much of our work is guiding ‘alternative medicine casualties’ with advanced cancer, back into mainstream medicine backed by proven complementary therapies. We believe there is a moral imperative for ‘cancer entrepreneurs’ to publish truthful accounts about their ‘miracle’ cure methods to prevent 1000s of patients from following distorted information. Grace Gawler has been particularly concerned that stories about her ex-husband, Ian Gawler’s recovery story, a story she played a major role in, have been misreported (as they were in 2 Medical Journal of Australia reports MJA 1978 and 2008) causing many of her patients to abandon conventional medicine in favour of alt/med. She has been trying to educate the public of this fact for years with little cooperation from the media. Patients have informed us that some ‘integrative’ doctors who read the MJA reports have recommended their cancer patients eat a vegan diet and meditate long hours as Ian Gawler was purported to do. The outdoors component of the program mentioned in the article will be led by Pip Cornall and supervised by institute director Grace Gawler and team advisor Dr Bruce Whelan. “PIP Cornall is about to go where no man has gone before. He’s taking prostate cancer support to the outdoors. Whether it is fishing, camping or having a beer, he believes it is the perfect opportunity to support affected men in an environment which eliminates the stereotype of a therapist’s chair. Rail freight giant QR National thinks there is merit to this world-first program designed to be piloted on the Gold Coast in early March and has donated $16,800. The Prostate Mates program will be run through the Grace Gawler Institute, a local company with a long history of providing emotional support to cancer victims. Mr Cornall joined the institute as a director after Ms Gawler, the institute founder, read an article he wrote while living in America on his work with men and boys in prison and taking them into the wilderness for therapy. He was also a physical education teacher on the Gold Coast in the mid 1970s. Mr Cornall is hoping the Prostate Mates program will become a pioneer for prostate support groups across the world. “Men would rather have a beer and go fishing so we thought, why not run with that trend,” he said. “It’s taking therapy out of the office.” Mr Cornall said he planned to run the first session in March as either afternoon fishing on the Broadwater or camping on North Stradbroke Island. “My role is to help men share their deepest fears in things like, if they have had treatment and are now impotent,” he said. I’m a director of a cancer solutions charity in Queensland, Australia. In the last few years we’ve been seeing an astronomic rise in deaths from patients using alt/med treatments alone. Our founder, Grace Gawler has spent nearly 4 decades helping cancer patients build survival strategies. In all of the 13,000 + patients she has worked with, she HAS NOT SEEN A SINGLE RECOVERY DUE TO ALT/MED ALONE. Rather she has seen many alt/med casualties – too many casualties, as have I in my short 4.5 years helping Grace in her work. Well intentioned blogs like ‘Mum’s not having Chemo’ can fan the wildfire of alt/med cures spreading the world – the plethora of internet claims like ‘cure cancer now,’ ‘read my book and be cured like thousands before you,’ ‘curing cancer’ is easy and so on. These promotions are very dangerous as those working with cancer patients know. The miracle claims on the net don’t stack up with our experience nor that of our colleagues in Australia and Europe. Yet the blog in question, Laura Bond’s ‘Mum’s not having Chemo,’ a blog clearly written with love by the daughter who has spent hundreds of hours researching treatments, is wildly inaccurate. As one medical colleague said, “it’s misleading, dangerous and a mess.” Worse than that, the Adelaide Advertiser wrote a weekend feature about the alt/med choices of the mum, Gemma Bond and the daughter’s efforts to help her. We have written and phoned the paper to rectify the article. Perhaps they may not know of the increase in alt/med deaths that we and our colleagues witness. I hope they respond! I have also posted caring but informative comments on the daughter’s blog but these have been removed. I have emailed her but she has not replied. Blinded by her ideology, she obviously can’t allow any debate despite my compassionate emails and comments. She does not seem to understand that she is not medically trained; that there is a moral obligation not to promote the types of alt/med treatments that are killing thousands of cancer patients each year in Australia. Although the intention behind her blogs may be well meaning, materials that influence desperate cancer patients to chose alt/med treatments that kill them are deadly whatever way you look at it. Amanda Hordern, director of the Cancer Council Victoria’s information and support helpline, says the line is fielding an increasing number of calls from people who believe they can heal their bodies by undergoing restrictive dietary regimes, such as consuming 10 kilograms of juiced fruit and vegetables a day, eliminating dairy and meat, taking high doses of vitamin supplements or eating shark cartilage and having coffee enemas. She says of the 600 calls about nutrition last year, many were from cancer patients convinced an extreme diet could cure them. 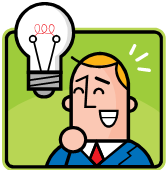 ”I’ve spoken to people who have mortgaged their houses looking for this wonder cure. I’ve heard of $20,000 retreats where people go away and are taught how to have alternative diets that are unproven. ”People have asked us for financial assistance to pay for funerals because they’ve lost absolutely everything in pursuing the elusive hope and it hasn’t worked,” Dr Hordern told The Sunday Age. I’ll write more about this topic until we see a change in this terrible trend, a trend fanned by well meaning but untrained and unexperienced people. Working closely with patients as we do, who have come too late to us because they fiddled around with alt/med (like Steve Jobs) – it is simply heart breaking to witness the preventable deaths of good but misguided patients. That is why we get up early to write. We’ve written repeatedly on this important topic because so many patients in Australia are dying from alt/med treatments – we believe this number is in the 1000s. So many are struggling with vegan diets and long hours of meditation believing that is what cured Ian Gawler’s cancer.”If he can do it so can I,” is the mantra. We’d rather be working with patients and not be repeating an old story but we must while so many patients are abandoning conventional treatments influenced by this mythical event. We write to set the record straight and warn patients they should not follow alt/med or starve themselves on vegan diets to beat their cancer. Here is the story again – references are below – please spread the word. In 2009, a former patient contacted Grace Gawler concerned about alleged inaccuracies in a Medical Journal of Australia (December 2008) article about Ian Gawler’s recovery story. MJA editors invited Gawler to submit evidence of the alleged inaccuracies. After a year of rigorous fact checking, they published her letter on these matters. The letter indicated a number of alleged errors in the article which had implied that Ian Gawler’s recovery was attributed to intensive meditation and adherence to a strict vegan diet. Photographic evidence was provided indicating that timelines in the December 2008 article were not entirely correct. Ian Gawler also admitted he had not followed a vegan diet. Some Australian researchers hypothesise that TB may have played a significant role in the patient’s remission. ^ “Cancer patients at risk from inaccurate clinical reporting in a high-profile alternative treatment story”, , 20 September 2010. ^ “A fatal case of spinal tuberculosis mistaken for metastatic lung cancer: recalling ancient Pott’s disease”, PubMed, 20 November 2009. Mediation not meditation is surely needed! This is another post to raise money for urgent USA surgery for the son of Ian Gawler and Grace Gawler. D Gawler is 31 and is in constant pain- without urgent surgery his prognosis is very poor. This young guy needs a chance like the chance his dad got through Grace Gawler’s devoted efforts helping Ian Gawler survive cancer. This is an amazing story to read more please click here to go the the mother’s appeal site. The Grace Gawler Institute offers specialised yoga programs to help people recover from cancer – such as lymphatic drainage poses and stretches, easy breathing routines to reduce stress . Patients dealing with cancer also deal with varying levels of depression, stress and trauma but new studies show that people suffering from PTSD (posttraumatic stress disorder) can find real relief with yoga. In a study published in the Annals of the New York Academy of Sciences, a prominent PTSD expert found that a group of female patients who completed eight yoga classes showed significantly more improvement in symptoms—including the frequency of intrusive thoughts and the severity of jangled nerves—than a similar group that had eight sessions of group therapy. The study also reported that yoga can improve heart-rate variability, a key indicator of a person’s ability to calm herself. The study’s most striking findings were patients’ own descriptions of how their lives changed, says the author, Bessel van der Kolk, a professor of psychiatry at the Boston University School of Medicine and medical director of the Trauma Center, a clinic and training facility in Brookline, Massachusetts. Van der Kolk, who has studied trauma since the 1970s, is considered a pioneer in the field. In 2011 we have good news for cancer patients…There is an intelligent way to approach cancer recovery. For decades, due to advances in medical science and diagnostic methods cancer deaths have been steadily falling; however in the same time we’ve observed alternative medicine cancer deaths rapidly rising. This observation is echoed by medical colleagues—oncologists and doctors we collaborate with, both in Australia and overseas. It’s a global phenomenon. The rise of alt/med cancer deaths is connected to an irrational ideology which encourages the abandonment of medical science for a return to ‘natural methods’. This fuelled by ‘Dr Internet’ and the new breed of cancer entrepreneurs. There is a 3rd way and more intelligent way to manage cancer – it yields the best patient outcomes. We call this collaborative cancer medicine At the Grace Gawler Institute we eliminate the ‘chance’ component in the medical system by only referring our patients to tried and proven performers—the best oncologists, GPs and specialists. We act as case-managers—coordinating the practitioners in the team while supporting the patient with individualised but simple nutritional practices, and, most importantly, psycho-oncology support, helping patients build emotional and psychological resilience—like a “Tour de France athlete preparing for the ‘ride of their life’. In 2011 we have very good news for cancer patients – there is an intelligent way to approach cancer recovery. Life Matters featured a program about ‘The Rite Journey’ a school based program that uses ceremony to help boys, and now girls, prepare to become adults. It’s designed to help overcome the lack of rituals in the lives of modern teenagers. Reporter Annie Hastwell joined South Australian teacher Andrew Lines and his students as they farewelled their childhood at one of the group’s final ceremonies. Andrew and I are currently talking of forming an alliance of males wanting to help our young boys become fantastic men. In the ‘noughties,’ the discussion about boys, men and masculinity was further boosted by New Zealander Celia Lashlie in her book ‘He’ll be Ok: Growing Gorgeous Boys into Good Men. It’s 2011—the cyber-age. 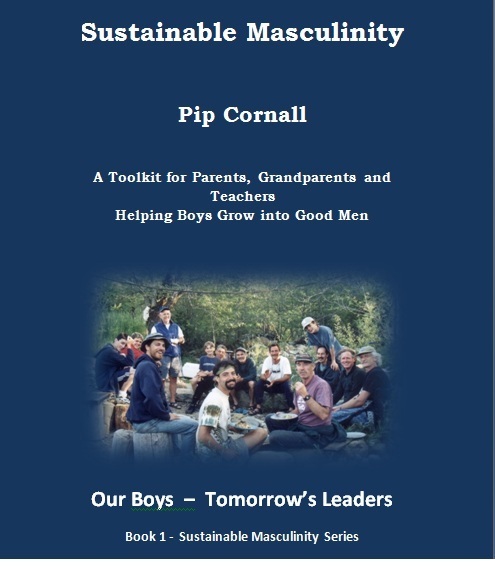 Consistent with his goals to promote healthier forms of masculinity and recognising the power of the internet to impact social change, author Pip Cornall, a former PE teacher and juvenile justice mediator in Australia and the USA, has released two new eBooks. The eBooks are literally brimming with animations, videos, websites, films and online resources all designed for adults who want to help boys become fantastic men. Keith Austin, a sports writer for the Sydney Morning Herald, in 2007, wrote of Pip’s earlier paperbacks – ‘In common with Steve Biddulph, Cornall believes it is time to change the overly macho face of Australian masculinity. Using the power of animation, video, film and web resources, Cornall’s eBooks, at about a third the price of a paperback, can be extremely useful tools for parents, grandparents, teacher coaches and community workers across Australia. The eBook has a sporting focus and encourages sporting communities to use sport as a platform not just for winning but for teaching character qualities that help boys become the men our communities are demanding.